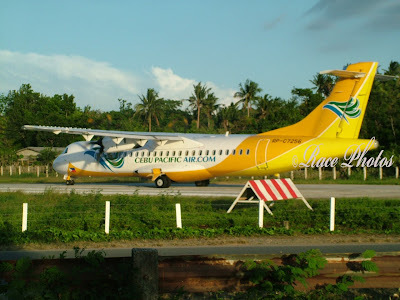 Well as I'm thinking early this day what will I post for the photohunt theme I came across my friend Win's picture of their domestic flight to Aklan. He actually gave me this picture because he took the picture for my collections lol! He's also learning photography like me. So now this is my entry because the plane is on the LOW grounds before it will go up on high grounds, see my picture is just right for the theme! Anyway I really liked the shot from where Win stand because it captured the beautiful sky above with white and gray clouds, perfect background for the plane. Sometimes I see airplanes in flight that I think are too low to the ground! Hi Race, very nice take for this week. My low tide is posted too. Thanks also for always dropping by my site. Nice photo... nice taking of the low topic.